Are you getting in the holiday mood? 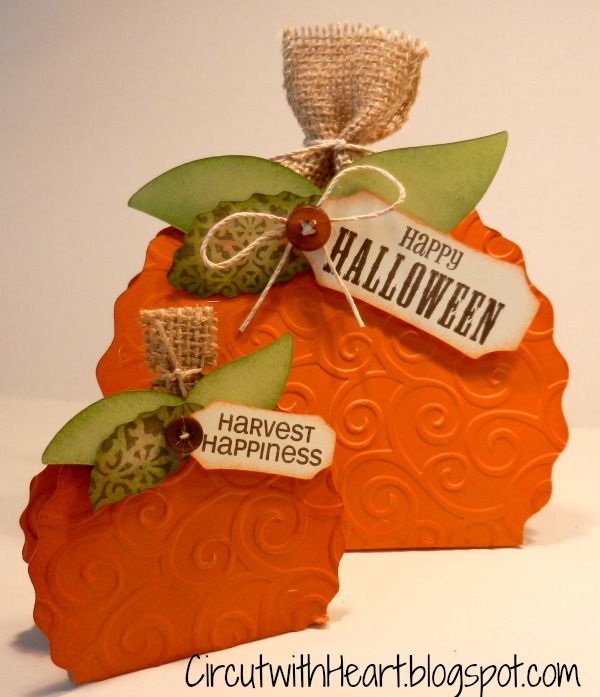 I sure am and today I want to share these Pumpkin Treat boxes I made with the Artiste cartridge that are perfect for Halloween or Thanksgiving treats. They were easy to make and went together in minutes. After cutting the shape with my cricut I ran it through my cuttlebug to add the fun swirls. I even found the leaves on the same cartridge on page 54 along with the tag on page 37. This cartidge really does have everything! These are adorable.What a great idea to turn them into pumpkins and love all the embossing. I was thinking of making these for my daughter's class for halloween. Would you share the sizes they are cut? Thanks!! I found it. It helps if you read the writing. Soooo sorry. 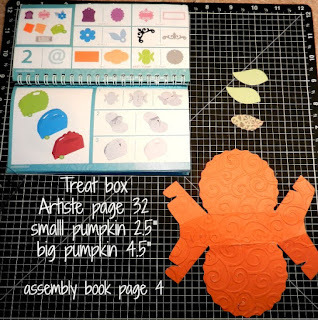 Im finally trying to make this and was wondering how you fit the big pumpkin into the cuttlebug? Probably a stupid question.....: ) Thanks in advance! Please share how you were able to run the whole shape through a cuttlebug? 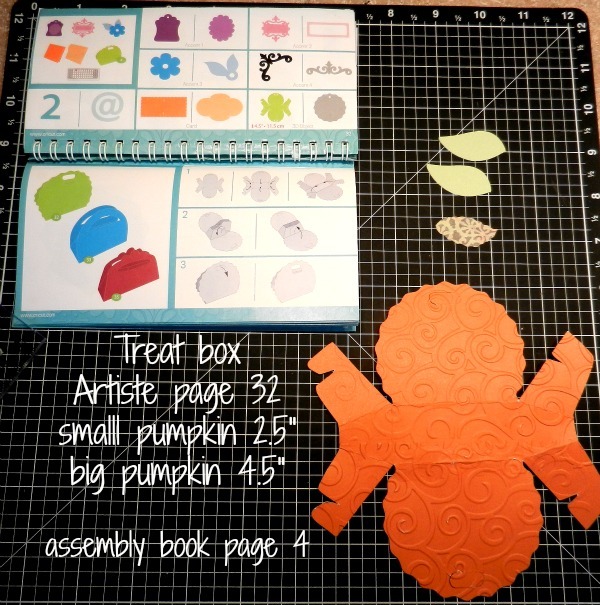 I've tried several ways and have not had any luck getting the entire shape embossed. Kim- I made these today and just folded the box part so that it stayed out of the way- then I only put the scalloped part into the folder- one at a time. Hope this makes sense! I love these pumpkins! I am totally going to borrow your idea. I have one question - What font do you use on your photographs for your watermark and your measurements? I love fonts and that's super cute!